New: A new look for your Overview page! Today we released quite an exciting revamp of the overview pages. We've added more analytical goodness via updated charts and graphs, along with a much clearer view of your high level stats so you can find the information you need faster. You now have a quick visual view of the status of your material and product stock. Too much red or yellow under projects indicates that you may need to prioritise manufacturing, whereas more green indicates everything is in stock and ready for sale. Too much red or yellow in your materials list however could indicate a shopping trip is in your immediate future. Clicking on a status will take you directly to your list views with this status filter applied: you can thus quickly see a full list of all products / materials that have this particular stock status. 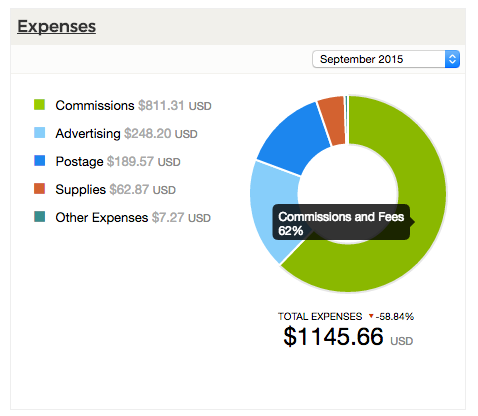 Your expense data is now displayed by category, so you can see exactly what you are spending the most on. You can choose different time periods via the date selection in the top right hand corner. We have also added a comparison indicator to let you know how your expenses have changed from one period of time to the next. This area gives you a view on how your revenue is going. 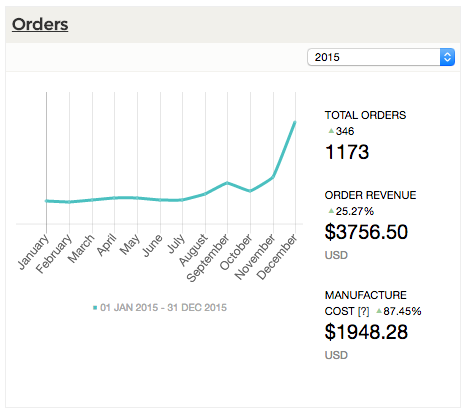 You can now see at a glance your total orders, revenue and the total manufacture cost of all products sold. Like expenses, you can narrow down your stats by a variety of different date ranges and see comparisons between two different periods. This new area shows your manufacturing activity - you can find your material and labor costs of manufacture and total products made in this section. Comparisons between time periods also feature in this area and allow you to see if your costs are increasing or decreasing over time. Along with the statistical wonders above, we've also added a brand new activity stream to give you a quick view of the most recent changes you've made: any new orders, expenses, projects, materials, recipes or manufactures will be automatically added to this list and displayed here. This includes data from your integrated sales channels so it can be a really useful way to see your most recent orders placed. Your activity can also be filtered by type: you can view just your latest orders or expenses if you wish, just click the "All" select box in the top right hand corner to apply the filter. New: Add Manufactures in a single click!